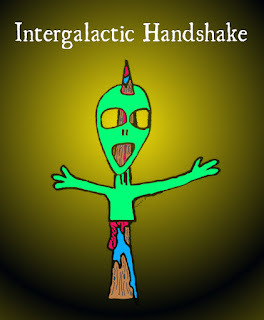 Nope, I haven't just come up with some quirky name ideas for wrestlers, I've been drawing dark doodles again and thought I'd do a post to contain the most recent of them. 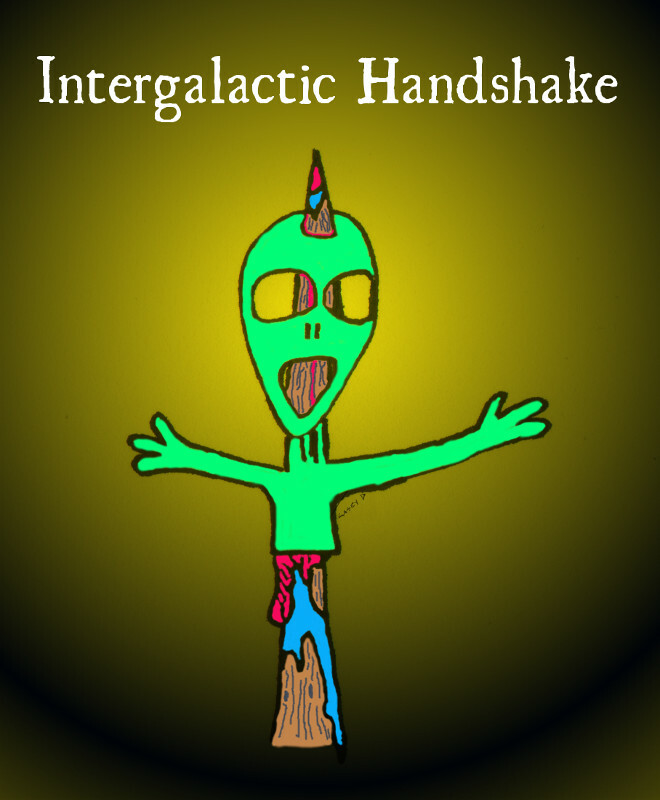 Intergalactic Handshake is what I think would happen if aliens publicly visited Earth right now; how they'd end up. 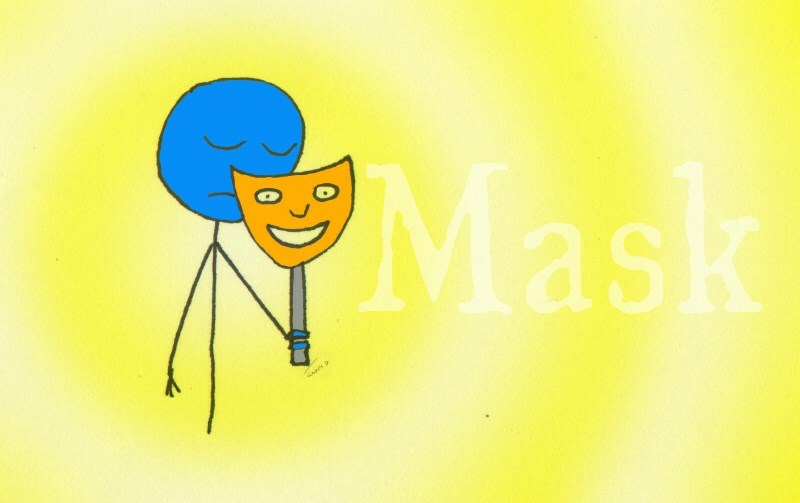 Mask is self-explanatory, I hope. 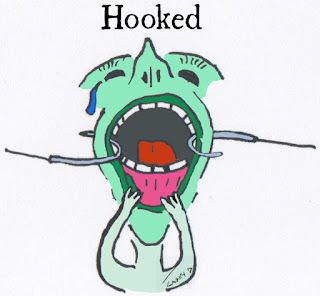 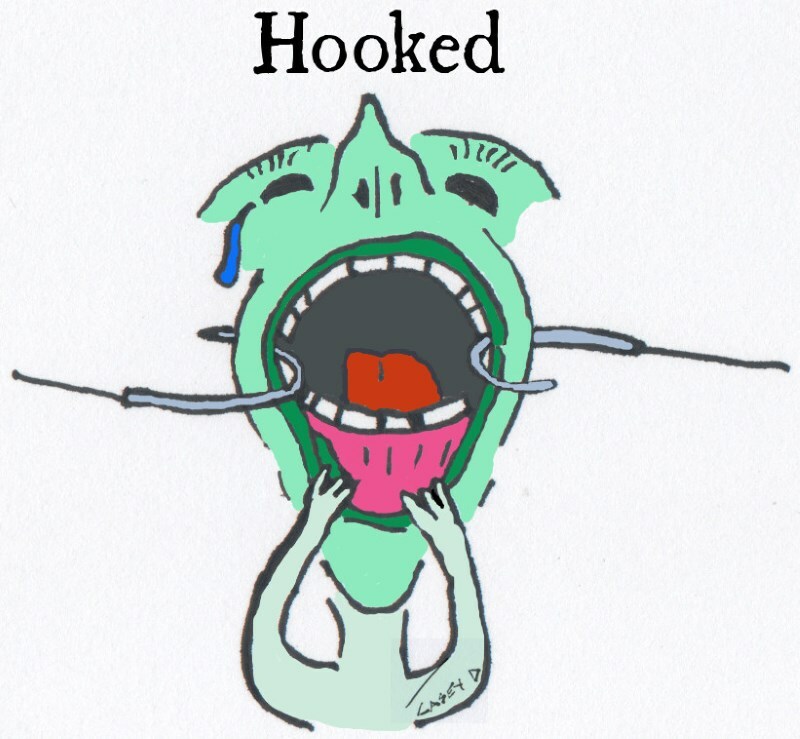 Hooked is about addiction, it has nothing to do with incompetent fishing.